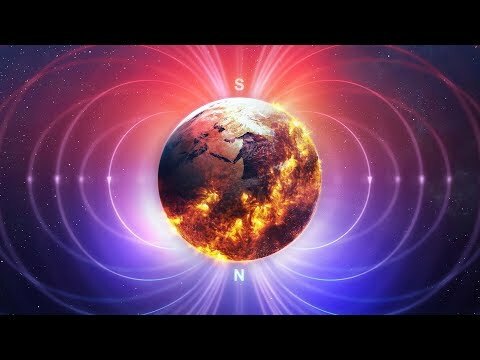 Previously, scientists had told us that the magnetic field was weakening by about 5 percent every 100 years. But now we are being told that data collected from the SWARM satellite indicate that the rate of decay is now 5 percent per decade… In case you didn’t quite get that, 5 percent per decade is 10 times faster than 5 percent per century. If the rate of decay continues at this pace, or if it speeds up even more, we could be looking at a mass extinction event that is beyond what most people would dare to imagine. As more solar radiation reaches Earth, we would expect to see a rise in cancer rates. everything on the planet will be exposed to higher levels of radiation, which over time could produce an increase in diseases like cancer as well as harm delicate spacecraft and power grids on Earth. Of course we are already seeing this. Cancer rates have been rising all over the world, and if you live in the United States there is a one in three chance that you will get cancer in your lifetime. But as the magnetic field continues to weaken, things will get worse. Scientists also believe that we would potentially be facing “trillions of dollars in damage” to our power grid and electrical infrastructure because the magnetic field would be so weak during a flip… Our planet is becoming increasingly unstable, and we are seeing things happen that we have never seen before. The magnetic field surrounding Earth is weakening, and scientists say it could be gone in as little as 500 years. The result? Earth’s magnetic poles could, literally, flip upside down. Mars lost its magnetic field 3.5 billion to 4 billion years ago, likely putting an end to life on the Red Planet if there ever was any. And while Earth’s magnetic field has always tended to restore itself, the European Space Agency is taking the issue seriously. This video created by a professional movie maker with high quality editing and narrated by a world class voiceover artist. Script used with written permission and license by Michael Snyder. Most of artwork that are included with these videos have been created by Epic Economist and they are used as a representation of the subject matter. The representative artwork included with these videos shall not be construed as the actual events that are taking place.